Cleaning might be our bread and butter, but that doesn't mean we aren't every bit as willing and able to accept other types of jobs involving home improvement. If there's a carpet issue that can't be solved by cleaning, repairs are usually in order – doing them right, however, is no walk in the park. Most local companies will gladly try and perform any Corpus Christi carpet repairs you ask them to do. Why not? It's extra profit. The problem is that most of these companies lack employees with enough expertise to perform seamless carpet repairs with a high degree of customer satisfaction. Corpus Christi Carpet Cleaning Pros' technicians aren't just pros at cleaning – they can also perform carpet repairs that defy belief. Most often, our customers will ask us to repair pet-inflicted damage to a carpet, be it from biting, chewing or any other destructive activity that pets love. We've dealt with loads of pet damage cases and have a pretty good idea of what we might expect – even if you think we won't be ready for the mess your pet made, we will. 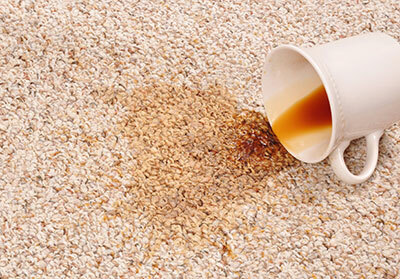 As dangerous as pets are, they aren't always responsible for the worst forms of carpet damage. Us humans are to blame for the really tough cases: oil spills, burns and so on. If your carpet suffered burn damage, you probably aren't feeling good about it – chances are you don't see a way out of the situation other than replacing the carpet. Let us help: don't throw away your precious floor covering just because you aren't familiar with the efficiency of our methods. It's hard to single out any case of carpet repairs we've performed because every case is different. On one job, we might be stitching rips and tears made by a naughty dog while on the next we could be trying to mitigate burn damage. Therefore, we can't give you an exact example of what we might be doing with your carpet before actually getting to it. In general, though, expect us to first examine the carpet while cataloguing its state in great detail. Why the fuss? We like to have a record of the carpet's initial state before getting to work in order to avoid future misunderstandings and settle any potential claims more easily. Also, examining the carpet might reveal other issues with the fabric that need to be dealt with accordingly. Once enough questions about the carpet have been answered, we'll get to work using every masterful repair technique at our disposal. The majority of repairs we perform are done purely by hand as we don't believe machines can replace the finesse of human touch. No matter the carpet we're working on, we try to keep the actual patching to a minimum in order to preserve appearance, preferring to use stitching and knotting instead. Regardless of the scale of repairs, our goal will always be to create a flawless appearance that offers no clues about San Antonio carpet repairs being done – thanks to this pursuit, our carpets often come out of the ordeal looking brand-new even in cases of serious damage.